The recent electoral history of New South Wales has been dominated by the extraordinary event of the 2011 election, which in two-party terms was the biggest blowout recorded in any federal or state election since the emergence of the two-party system. The result initiated what has so far been two terms of Coalition government in a state where Labor has traditionally dominated. The following election in 2015 marked a return to normality to some extent, with a statewide swing back to Labor of 9.9%, but the result was still Labor's third worst since the Second World War, surpassed only by 2011 and the defeat of the Unsworth government in 1988. Labor first gained power in New South Wales after attaining a parliamentary majority at the 1910 election, matching its breakthrough at the federal election earlier in the year. Power changed hands with some regularity between then and 1941, when Labor returned to office for the first time since the dismissal of Jack Lang's government by the Governor, Sir Philip Game, in 1932. The Coalition has since had three periods in government, for four terms from 1965 to 1976, two terms from 1988 to 1995, and the two terms since 2011. Neville Wran's narrow victory in 1976 gave Labor a national morale boost six months after the debacle of 1975, and initiated an era of Labor ascendancy that was not entirely broken until 2011. The two “Wranslides” of 1978 and 1981 remain an historic high water mark for the party, and the only time the Coalition achieved a parliamentary majority through this period was with the election of Nick Greiner's government in 1988. Greiner's re-election in 1991 was achieved through a hung parliament and a memorandum of understanding with the three cross-benchers, who forced his resignation in August 1992 after an adverse finding from the Independent Commission Against Corruption. The Coalition government under John Fahey succeeded in winning the statewide two-party preferred vote in 1995, but Labor under Bob Carr nonetheless emerged with a bare parliamentary majority. Labor strongly consolidated its position under Carr's leadership in 1999 and maintained the status quo in 2003, before Carr retired in 2005. His successor, Morris Iemma, returned Labor to power at an election in 2007 that they might have done better to have lost. Labor's final term in office was characterised by corruption scandals and leadership coups, with Iemma ousted in favour of Nathan Rees in September 2008 amid a rebellion over electricity privatisation, and Rees ousted in favour of Kristina Keneally as the Right reasserted its power in December 2009. The election will be held on the same boundaries as applied in 2015, when the Coalition won 54 seats out of 93 (37 Liberals and 17 Nationals), down from 69 in 2011 (51 Liberals and 18 Nationals). Since then, the Coalition has lost two by-elections: the Orange by-election of 12 November 2016, when Shooters Fishers and Farmers gained the seat from the Nationals, and the Wagga Wagga by-election of 8 September 2018, when independent Joe McGirr gained the seat for the Liberals. These members have supplemented an existing cross bench of three Greens and two independent members elected in 2015. In a scenario of no change on the cross bench, the Coalition will lose its majority if it loses six seats, requiring a uniform swing of 3.2%. However, the Nationals are reportedly confident of recovering Ballina from the Greens, the loss of which reflected a high pitch of local concern over coal seam gas extraction at the time of the 2015 election. If that can be managed, and no further seats are lost to minor parties or independents, the bar for retaining majority government lowers considerably. The next seat along on the pendulum is Penrith, heart of the famously sensitive federal seat of Lindsay, which has a margin of 6.2%. Labor has held a stable 34 seats since the 2015 election, and would need a formidable uniform swing of 8.7% to gain the 13 needed for a majority. The inner-city seats of Balmain and Newtown have been lost over the past two elections to the Greens, whose recent troubles suggest they are more likely to lose existing seats than gain new ones. Balmain is the more vulnerable of the two, with its margin of 3.7%, but its gain would make little difference to the uniform swing Labor would need to get the additional 12 seats needed from the Coalition. Marginal seats in New South Wales tend to be concentrated in outer Sydney, around Parramatta in Sydney's west, and on the Central Coast. The Liberals dominate the harbourside and Sydney's north and hold most of the seats of the state's south-east, while the Nationals have a near monopoly of the seats in the state's west and north. Labor also has pockets of strength, though not currently any seats, in the state's north-eastern corner, making Tweed, Ballina and Lismore winnable, and around Canberra, where Nationals leader John Barilaro sits on an uncomfortable 2.5% margin in Monaro. The 20 seats that remained with Labor after 2011 signify the party's greatest areas of strength, encompassing Sydney's inner south, a thin band of seats through the most multicultural parts of western Sydney, the three seats of the Illawarra region, and the Hunter region seat of Cessnock. Labor managed only a limited recovery in Sydney in 2015, gaining six metropolitan area seats from a swing of around 7%, but did better in the regions, gaining eight seats and a 12% swing. The regional gains were overwhelmingly concentrated in the Hunter region and the Central Coast, respectively accounting for five and two seats. This neatly reflected the swathe that had been cut through local Liberal ranks by ICAC's investigations into property developer donations, forcing seven local members out of the Liberal Party. The Nationals by contrast lost only a single seat at the election, and that to the Greens. The chief peculiarity of the New South Wales electoral system is optional preferential voting, which was introduced at the 1981 election. Queensland followed suit in 1991, but this was reversed by the Labor government in 2016, reflecting Labor's conviction that optional preferential voting costs it preferences from the Greens  a factor that was particularly pronounced in the anti-Labor landslides of New South Wales in 2011 and Queensland in 2012. However, the question of the system's partisan impact has been complicated in recent years by the rise of right-wing minor parties, and the number of Greens voters directing preferences to Labor rather than exhausting has increased in accordance with Labor's overall political fortunes. New South Wales led the nation in the introduction of four year terms, which was passed by a 69-31 majority at a referendum in 1981 and introduced at the 1984 election. Another referendum approved the introduction of fixed terms by a 75.5-24.5 majority in 1995, with the usal escape clauses for no confidence motions and constitutional crises. A system of rural vote weighting was abolished by the Wran government after it came to power 1976, although its impact on partisan fairness had been slight, except insofar as it caused the Country Party to be over-represented. The other major reform of the Wran era was the introduction of elections for the Legislative Council in 1978, prior to which the body had been appointed. Its members are elected by a proportional representation system similar to the Senate, but its members are elected “at large”, as distinct from the sytems of upper house regions used in Victoria and Western Australia, or the state-based system for the Senate. Members serve staggered eight year terms, with half the 42 seats vacated at each election. The quota for election is a modest 4.55%, which has allowed for a sustained parliamentary presence for the Christian Democratic Party and Shooters Fishers and Farmers. A proliferation of micro-party preference harvesters prompted voting reforms that abolished group voting tickets in 2003, foreshadowing the Senate reforms of 2016. The Coalition's second term in office maintained the state's recent record of leadership instability, with the second term of Bob Carr's Labor government from 1999 to 2003 being the last to have passed without a change in Premier. The change on this occasion was relatively orderly, with Mike Baird leaving of his own accord to return to the banking sector, and Gladys Berejiklian promptly emerging as the consensus candidate to succeed him. Berejiklian is a former Commonwealth Bank executive who entered parliament in 2003 and served as Transport Minister after the 2011 election, soon emerging as the favoured leadership contender of the moderate faction and the then Premier, Barry O'Farrell. However, she agreed to settle for the deputy leadership when O'Farrell resigned in April 2014, reportedly out of concern that the rival sub-factions of the Right would unite to undermine her if she became leader. Such concerns had evidently subsided by the time of Baird's departure in January 2017, when she emerged as leader unopposed with cross-factional support. The factional accord that smoothed Berejiklian's path to the leadership was uncharacteristic of the state Liberals' recent form, which has been characterised by hostility between moderates who have been ascendant within the party organisation, and conservatives who hoped to tip the balance of power from the organisation to the branch membership through democratising preselection reforms. 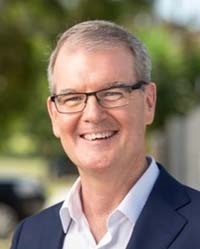 The conservatives have in turn been split between a “centre right” associated with federal MP Alex Hawke and state MPs David Elliott and Natasha MacLaren-Jones, and to some extent with Scott Morrison, and a “hard right” that encompasses Tony Abbott and the party's religious conservative tendency. The dispute over preselection reform was resolved, for the time being, through a compromise reached between moderate and centre right leaders, which will take effect after the election. Factional rivalry has been at the heart of two significant preselection disputes, one for the federal seat of Hughes, where the intervention of Scott Morrison saved Craig Kelly of the hard right from a challenge by moderate Kent Johns, and the state seat of North Shore, where a battle between moderate incumbent Felicity Wilson and Tim James of the hard right ended up in the Supreme Court. Another debilitiating preselection spat arose from Treasurer Dominic Perrottet's challenge against Ray Williams in the seat of Castle Hill. While Perrottet is of the hard right and Williams of the centre right, the dispute arose not so much out of factional conflict as Perrottet's dissatisfaction with the commute time between Sydney and his existing seat of Hawkesbury. The stand-off was resolved when another member of the hard right, Damien Tudehope, made his seat of Epping available to Perrottet by moving to the upper house. Nonetheless, Berejiklian was roundly criticised within the party over her failure to manage the situation. A number of other political difficulties have confronted the government through its second term, perhaps the worst of which was the short-lived plan to ban greyhound racing in mid-2016. This was announced in response to the findings of a commission of inquiry by the then Premier, Mike Baird, and the Nationals leader, Troy Grant, who had neglected to consult their respective party rooms. The backlash among the Nationals was particularly fierce, with three of its members crossing the floor to vote against the bill. The controversy was widely blamed for the Nationals' defeat in the Orange by-election in November 2016, which was followed by Grant's resignation as party leader, to be succeeded by Monaro MP John Barilaro. Another contributing factor to the Orange defeat was said to be the government's controversial program of council amalgamations, which were partly abandoned after Gladys Berejiklian became leader the following January. With Berejiklian as leader, the government was widely thought to have blundered with its $2.5 billion plan to rebuild the Homebush Stadium and the Sydney Football Stadium, principally to the advantage of the NRL and the SCG Trust. A hostile public respone led to a partial background the following March, in which $1 billion was cut from the bill by refurbishing rather than rebuilding Homebush. 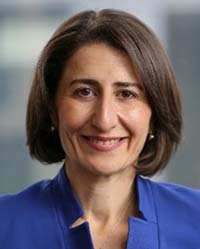 Despite support from media outlets with an interest in the matter, Berejiklian was also thought to have blundered when she overruled a management decision restricting advertising of the Everest horse race on the sails of the Sydney Opera House, which she did immediately after its chief executive, Louise Herron, was subjected to a bullying interview by talk radio presenter Alan Jones, a prominent booster for the race. For the second time in a row, Labor goes into a state election shortly after the disruption of a leadership change. The March 2015 election was preceded by the resignation shortly before Christmas of John Robertson, who had assumed the leadership in the wake of the 2011 election debacle. Robertson's hold on the leadership became increasingly precarious throughout 2014, and he resigned after it emerged he had sent a letter to the Department of Family and Community Services on behalf of Man Haron Monis, who went on to conduct the Lindt café siege. The party unusually chose as his successor a candidate of the Left, Luke Foley, notwithstanding the complication that he was at the stage in the upper house. Foley moved to the lower house in the seat of Auburn at the ensuing election, at which Labor was able to recover 14 of the 32 seats lost in 2011. The government's difficulties in its second term were reflected in the wearing away of its opinion poll lead, but Foley was unable to consolidate his position as party leader. He reportedly had difficult relationships with his deputy, Michael Daley, and the party's state secretary, Kaila Murnain. Daley attained his position in March 2016 after the previous deputy, Linda Burney, moved to federal politics, and Foley was said to be aggrieved that he had been unable to install his preferred candidate, Jodi McKay. Doubts about Foley's security intensified in May 2018, after he spoke of a “white flight” of “Anglo families” from areas of Sydney that had become dominated by migrants. Foley apologised after receiving sharp rebukes from both Labor and Liberal politicians, along with praise from Pauline Hanson. Reports of the time also spoke obliquely about concerns over Foley's “behaviour at functions”. The meaning behind this was clarified in November, when Liberal MP David Elliott alleged in parliament that Foley had had “a little bit too much to drink at a party and harassed an ABC journalist”. The journalist in question, Ashleigh Raper, subsequently issued a statement in which she claimed Foley had placed his hand down the back of her dress and inside her underpants. Foley at once resigned as leader while vehemently denying the allegations, and announced he would launch defamation action against the ABC, prompting widespread criticism from his own side of politics. The party room vote to succeed him was contested by two Right-aligned candidates in Michael Daley and Chris Minns, in which the former prevailed by 33 votes to 12. The minor parties currently represented in the New South Wales parliament are the Greens, who have four seats in the upper house and three in the lower; Shooters Fishers and Farmers, who have two seats in the upper house and, since the Orange by-election of November 2016, one in the lower; the Christian Democratic Party, which has two seats in the upper house; and Animal Justice, with one seat in the upper house. One Nation has also re-emerged as a significant factor since the 2015 election, and has assured maximum publicity for its election campaign by recruiting Mark Latham as its upper house candidate. There are also three lower house independents, including two elected at the 2015 election and one elected at the Wagga Wagga by-election in September, and Jeremy Buckingham in the upper house, who resigned from the Greens in December and will seek re-election as an independent. Despite the by-election losses, there is no evident movement for state Liberals to be targeted by high-profile independents, as is the case federally, which presumably reflects the moderate image of the government in general and Gladys Berejiklian in particular. The Greens in New South Wales have endured the most tumultuous period in the party's history, which has been broadly characterised by a battle for control between radical left elements and a more environmentally focused tendency. The former had long been identified with Lee Rhiannon, who had a background in radical left politics before serving as a Greens member of the Legislative Council from 1999 to 2010 and the Senate from 2011 to 2018, while the latter remains associated with former Senator Bob Brown. The fissure widened in mid-2016 when Rhiannon's federal colleagues suspended her from the party room for undermining negotiations with the government over the Gonski education plan. The conflicts played out over a series of preselections, which saw the hard Left lose Rhiannon in the Senate and fail in a bid to block moderate candidate Cate Faehrmann's return to the Legislative Council. However, the biggest point of contention in the Greens' recent affairs has related to allegations of sexual misconduct against state upper house member Jeremy Buckingham. A motion to remove Buckingham from the Legislative Council ticket received majority support from the party's state delegates council, but Buckingham retained enough support from the moderate wing to prevent the motion receiving the required three-quarters majority. A compromise motion asking Buckingham to step down received the required support in December, prompting him to quit the party and announce he was running as an independent. The upper house and its low quota for election presents a prime opportunity for One Nation to establish itself in the next parliament, as it was able to do when David Oldfield gained a seat with 6.3% of the vote during the party's first heyday in 1999 (his seemingly inevitable split with the party following a little over a year later). The party has pulled off something of a coup by enlisting the services of Mark Latham, Labor's federal leader in opposition from the end of 2003 to the start of 2005, who has maintained a profile as a provocative media commentator with an increasingly populist political bent. Latham joined the Liberal Democrats in May 2017, prompting speculation that he would use the party as a vehicle to enter state parliament, partly through a desire to avail himself of parliamentary privilege. However, indications that policy differences were leading him to consider other offers were borne out when he was announced as One Nation's candidate in November. Liberal Democrats Senator David Leyonhjelm may have had other ideas in any case, as he announced two months later that he was leaving the Senate to run as the party's candidate for the Legislative Council, where the lower quota gave him a better chance of maintaining his political career than another shot at the Senate.